MRM’s News Bites features DoorDash, OpenTable, Dinova, Bite Squad, Impossible Foods, HEROFi, Digital Six Laboratories Inc. and the loss of a hospitality industry leader. Responding to feedback from restaurant partners and guests, DoorDash unveiled two new services: DashPass, a subscription offering unlimited deliveries with no delivery fee, and Pickup, which allows DoorDash customers to order ahead, skip the line, and pick up their food on their own time with no fees. Christopher Payne, Chief Operating Officer at DoorDash, told Modern Restaurant Management (MRM) magazine that DashPass will help restaurants by putting their business in front of the company’s most active user base, generating greater reach and revenue. With Pickup, DoorDash can provide an all-in-one off-premise solution for merchants as well as drive incremental demand for lower-priced items such as coffee and breakfast items, grows revenue, minimizes in-store lines and allows restaurants to anticipate an influx of to-go orders, he explained. For $9.99 per month, DashPass subscribers receive unlimited access to thousands of the best local and national restaurants, with a $0 delivery fee on orders of $15 or more. Subscribers can order from eateries such as The Cheesecake Factory, California Pizza Kitchen, White Castle, Jack in the Box, and many more, all with $0 delivery fees. The membership pays for itself with just three monthly orders on average, and customers have the option to cancel anytime, no strings attached. The average DashPass subscriber saved over $20 per month and ordered nearly twice as much after subscribing during the pilot program. Pickup allows any customer to order ahead through DoorDash, skip the line, and pick up food from the restaurant as soon as possible, with no fees. For time-crunched customers, Pickup alleviates the anxiety of wait times and provides an affordable way to get VIP access to the best selection of restaurants without the added delivery expense. 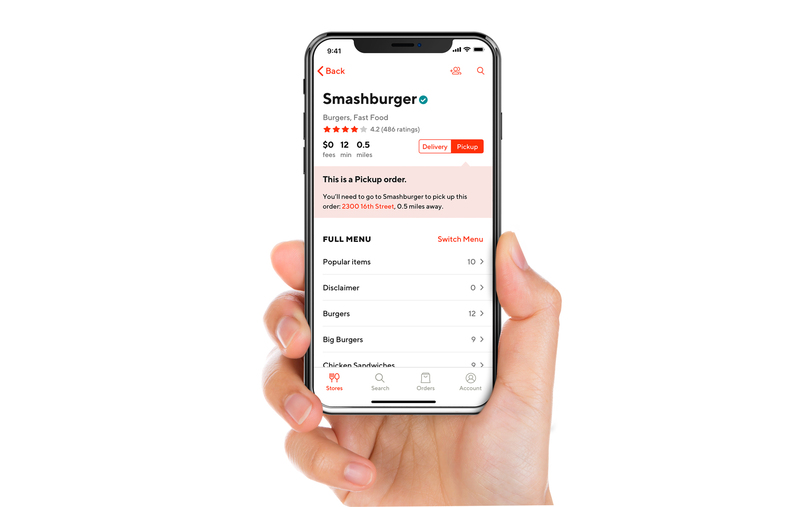 National classics like Smashburger, BJ’s Restaurant & Brewhouse and Pokeworks are rolling out Pickup through DoorDash across the country this week. Local favorites available for Pickup include: Chopt Creative Salad Co. in New York City, Jetties in Washington, D.C., and Big Star in Chicago. With Pickup, DoorDash now provides an all-in-one off-premise solution for merchants. Pickup drives incremental demand for lower-priced items such as coffee and breakfast items, grows revenue, minimizes in-store lines and allows restaurants to anticipate an influx of to-go orders. DoorDash is currently available in more than 1,000 cities across the U.S. and Canada. 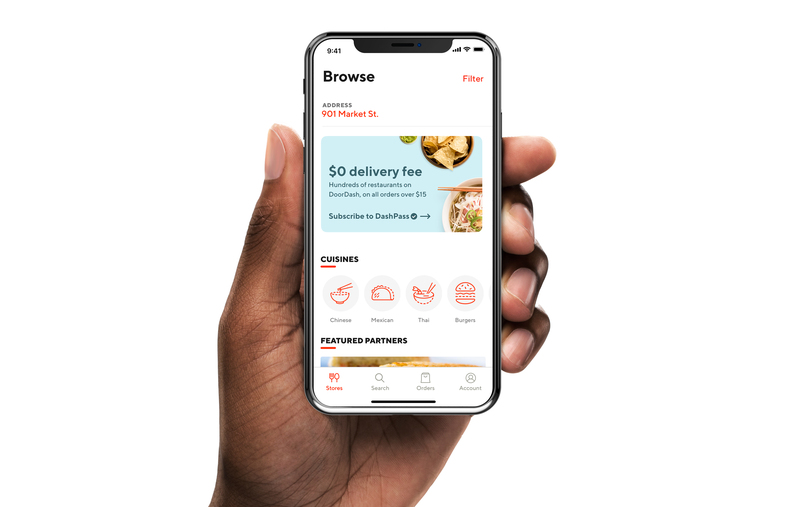 DoorDash will continue to enhance its platform to empower the local economy and provide customers with unprecedented access to their local businesses, added Payne. OpenTable is rolling out Seating Options to allow diners to reserve a seat at the bar, counter, a table outside and more during the reservation process. Not only does the feature give diners the freedom to choose where they want to sit at the restaurant, even before they arrive, but it also increases restaurant availability during peak dining times. 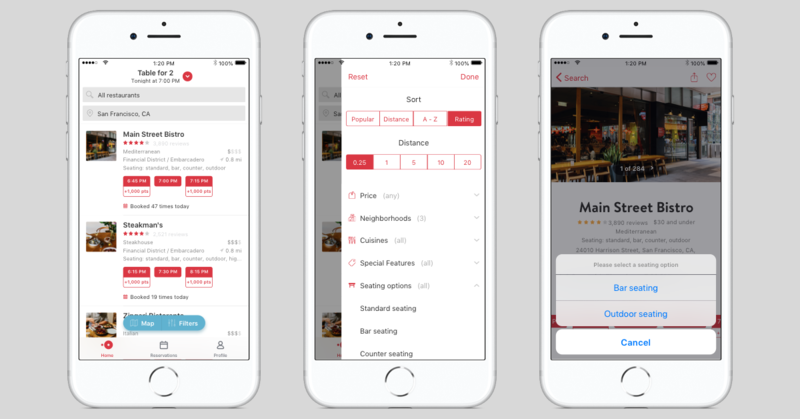 Diners can now find restaurants around the globe offering various seating options and table types when searching for reservations across desktop and mobile web, as well as on the OpenTable iOS and Android apps. Alternative seating options are noted with a table icon on restaurant profile pages. Located within GuestCenter, OpenTable’s flagship restaurant management product, Seating Options allows participating restaurants to categorize tables on their floor plan as either standard, bar, high top, outdoor or counter. These alternate seats are typically empty despite being highly coveted. Aside from attracting diners who may be looking for a seat at the bar or on the patio, Seating Options allows restaurants to open up more seats, increase the number of reservations available and ultimately boost profit. Clear generational differences exist when it comes to business traveler dining, payment and expensing options, according to new research released by the Global Business Travel Association (GBTA), in partnership with Dinova, Inc. According to first-of-its-kind research that delves into the psyche of the business diner, Millennials are more likely to dine on-the-go, while Boomers are most likely to wine and dine clients and Gen Xers typically dine in a group with colleagues. Bite Squad added 100 new U.S. cities to its service area in 2018, and plans to add approximately 100 more this year. The recent additions expand the company’s national footprint to more than 300 cities. Bite Squad expects to serve over 400 cities, in 22 states, by the end of 2018. Bite Squad’s 100-city expansion includes the acquisition of 13 regional restaurant delivery companies in Florida, Texas, North Carolina, Mississippi, Oklahoma and Wisconsin, as well as organic market expansions in Florida, Arkansas, South Carolina, North Carolina and Minnesota. 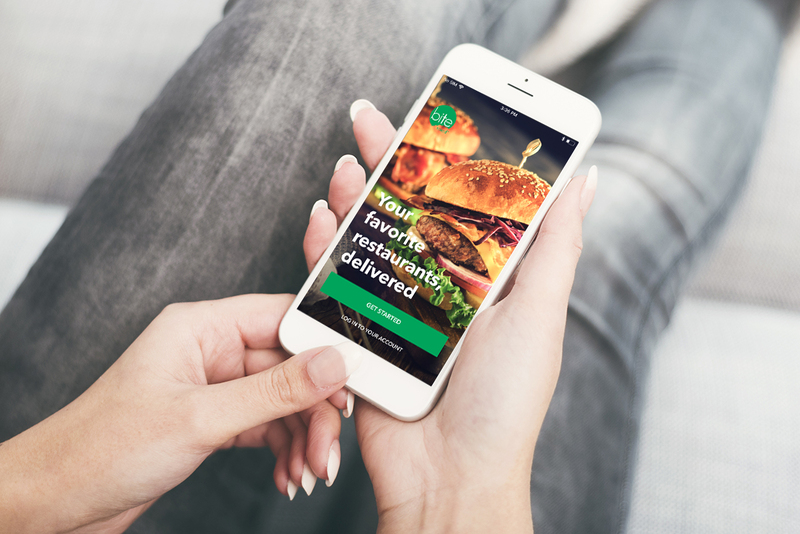 The growth follows the company’s acquisition of 17 local restaurant delivery companies in 2017. The Impossible Burger is now available in at least 3,000 locations in the United States, Hong Kong and Macao — up from only 40 restaurants one year ago. Americans have eaten about six million Impossible Burgers since July 2016, when the product first debuted to lines-around-the-block crowds at Chef David Chang’s trendsetting restaurant Momofuku Nishi in New York City. The Impossible Burger is now served in a wide range of restaurants — from taquerias and food trucks to fine-dining establishments and America’s most beloved “better burger” concepts Fatburger, Umami Burger, Hopdoddy, The Counter, and B Spot (the Midwest burger restaurant owned by Chef Michael Symon). Chefs have launched menu items such as Impossible tacos, pizza, empanadas, Cantonese baos, noodle dishes, kefta, meatballs, nachos, omelettes, breakfast sandwiches and other fare. The 2018 sustainability report, “Mission: Earth,” candidly charts Impossible Foods’ progress — including its biggest challenges — in the pursuit of its 2035 vision. Impossible Foods’ 2018 report also provides details about the company’s fledgling efforts to contribute to communities where it does business. The startup launched partnerships this year with food banks that serve those affected by food insecurity, including the nation’s largest food bank, in Alameda County, California. Impossible Foods is committed to expanding its programs from Northern California to additional food banks nationwide. HEROFi, a revenue optimization company for physical retail, completed a convertible debt financing of $3.5 million. Founded in 2014, the company specializes in using its intelligent orchestration platform to drive proven revenue through real-time product packaging and pricing. HEROFi’s clients use real time data – such as sales, inventory, weather, traffic and more – to create better and more effective consumer in-store experiences. In addition to its current client base of leading companies in the restaurant (Buffalo Wild Wings), gaming (Pechanga), and shopping mall (Westfield Malls) industries, HEROFi is close to completing agreements with major footwear and QSR companies as well as with a leader in the casino sector. The financing included Jeff Vinik, the current owner of the Tampa Bay Lightning, and the former manager of Fidelity Magellan Fund and hedge fund Vinik Asset Management; Rob Soni, a former partner at Matrix and Bessemer Ventures; and John McDonnell, Managing Director International, Fifth Generation Spirits, Inc. The financing provides HEROFi with adequate working capital to continue to expand and rollout its award-winning Guest Experience Platform (GXP) – which is already available in over 1,300 retail locations in eight countries. By ingesting and processing external and internal data in real-time, the platform enables clients to respond immediately to changing business conditions. HEROFi works closely with clients to create rules applicable to their business and to launch and scale successful projects quickly and efficiently. HEROFi’s platform drops into almost any existing technology environment, and provides a simple interface that anyone can use. Digital Six Laboratories Inc. (D6 Labs), released FoodSafe.io™ technology, and IoT solution designed specifically for restaurant food safety. 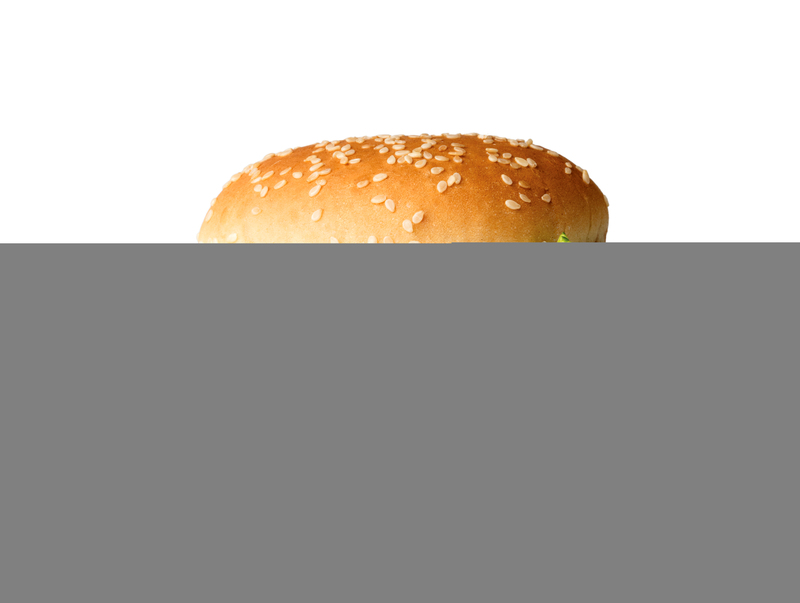 FoodSafe.io™ is a technology that improves the efficiency and effectiveness of food safety practices for restaurants, especially quick-serve restaurants. The technology has been in development and field testing for the past year and is now poised to give restaurant owners the ability to significantly increase food safety in their restaurants. FoodSafe.io™ incorporates handwashing monitoring, safety inspection guidance and monitoring, and cold-storage monitoring to give owners a complete and continuous view into the state of their food safety without distracting them from other necessary tasks. 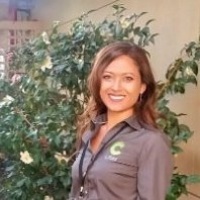 Key benefits of FoodSafe.io™ include the ability for restaurant owners or managers to receive alerts when something is amiss, a significant reduction in safety log falsifications (also known in the industry as “dry-labbing,” “pencil whipping,” or “punching in the numbers”), and acute visibility into handwashing compliance. An additional benefit is the ability to monitor equipment for impending failure or maintenance related issues, allowing managers to address problems before they become critical or expensive failures. FoodSafe.io™ includes wireless temperature sensors, called Whisker.Blocks™, that measure air and food temperature, reporting values every 5 minutes; an intelligent software agent that monitors these sensors 24/7, generating alerts any time a problem is observed; smart hand soap dispensers that measure the usage of hand soap, reporting such counts every 5 minutes; a FoodSafe.io™ application running on a tablet that keeps track of all required food safety checks that produces a daily compliance report; and an executive dashboard for viewing multiple locations and drilling down into sensor details. 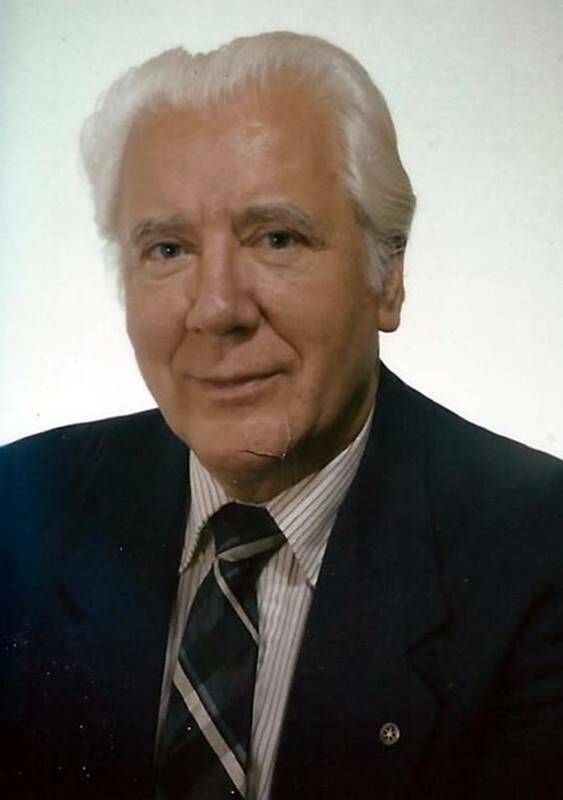 The restaurant hospitality industry suffered a loss when Johan Adam “John” DeJong died at age 94 on July 22. Born on April 26, 1924 in Amsterdam, Netherlands, he spent his lifetime devoted to the hospitality industry as well as being a beloved husband, father, grandfather, great-grandfather and friend. His professional accomplishments include being General Manager of the Poinsett Club and General Manager of the Greenville Country Club, both clubs in Greenville, South Carolina; Executive Chef, Piedmont Driving Club, Atlanta, Georgia and the Detroit Driving Club, Detroit, Michigan; Executive Chef for the Carolina Panthers National Football League Summer Camp, Spartanburg, South Carolina. Chef DeJong traveled on seven separate occasions evaluating US Military dining facilities to select the “Best of the Best” Dining facilities. DeJong was an active association member. He was a server-leader as President of the Carolina Club Managers Association; member of the Club Managers of America Association; President of the International Food Service Executive Association (IFSEA); Founder and President of the Palmetto Branch of the IFSEA; Trustee for the IFSEA Worthy Goal Student Scholarships Foundation; and member of the American Culinary Federation, and American Academy of Chefs. John DeJong’s awards and recognition are too numerous to list, said William L. “Bill” May, DODG, CFE South Carolina Palmetto Branch IFSEA. However, he was extremely proud of his recognition as a Certified Club Manager (CCM), Certified Executive Chef (CEC), & Certified Foodservice Executive (CFE). He was a recipient of the IFSEA’s Medallion of Honor signifying his induction in the prestigious Dignified Order of the Dinner Gong (DODG). John delighted in having the IFSEA Palmetto Branch name their highest award, The John A. DeJong Honor Award and to have been the recipient of this award in 1996 and 2002. A memorial service was held Saturday, Aug. 4, in Mackey Funerals at Woodlawn, Greenville, South Carolina. Those wishing to make a contribution in his memory are encouraged to consider the Worthy Goal Scholarship Fund, c/o Stan Gibson, Trustee, PO Box 824, Greer, South Carolina 29652.